Rearranging home furniture is a great way to give it the facelift it deserves this festivity season. Did you know that the arrangement of your room’s contents is just as important as the content itself? Here are a few things you should consider before making those tweaks. Before starting any project, plan ahead of time. It’s key that you decide what furniture pieces and items you want to retain in the room and those you want to remove. Determine the size of the room and estimate which furniture pieces fit best. While it’s good to have a plan, you’ll never know what the room will look like until you see the items in place, so don’t worry about straying from the plan. The layout of your room is entirely up to you, your space, and your furniture. 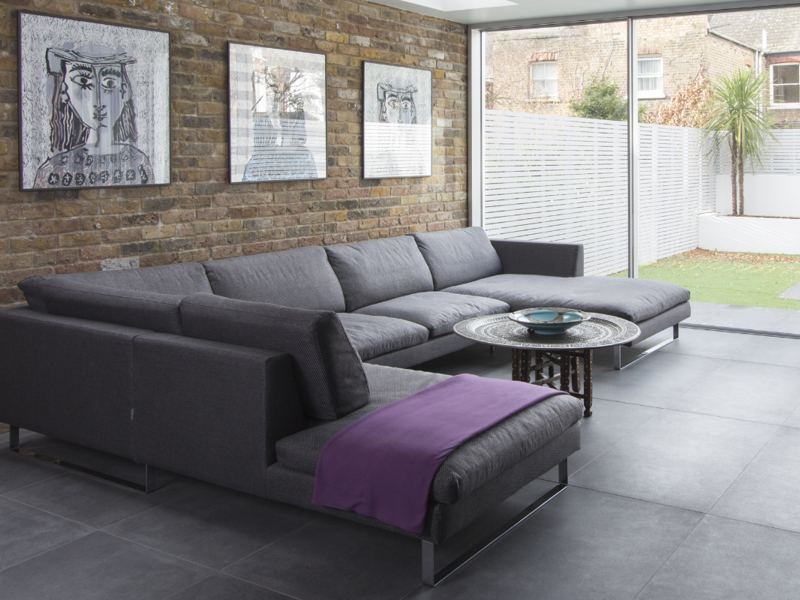 We often reposition our sofas to cater to seasonal décor or to create more room for guests. But it’s important to keep in mind that a tightly packed room is a no-no. Allow some breathing room and space to walk between furniture and corners. You don’t want guests to rearranging your furniture to get to their drinks, do you? When positioning furniture in any room, it’s important to determine a focus point. Most rooms or homes have a focus point, a spot that you want all eyes to be on as people enter the room. It can be the view outside, your television, or the coffee table where guests can congregate. It’s also key that the furniture around your focal point do not take away from star of the room. Corners aren’t always meant for sofas and tables. We know pushing furniture towards walls and corners is a norm, but this can make the room to feel too tight. By leaving space between corners, you allow for better air flow, making the room feel more spacious than it might be. If you feel like the arrangement in your space isn’t working, then it’s time to remove some pieces. Make some space,for traffic and movement to create a lighter atmosphere. 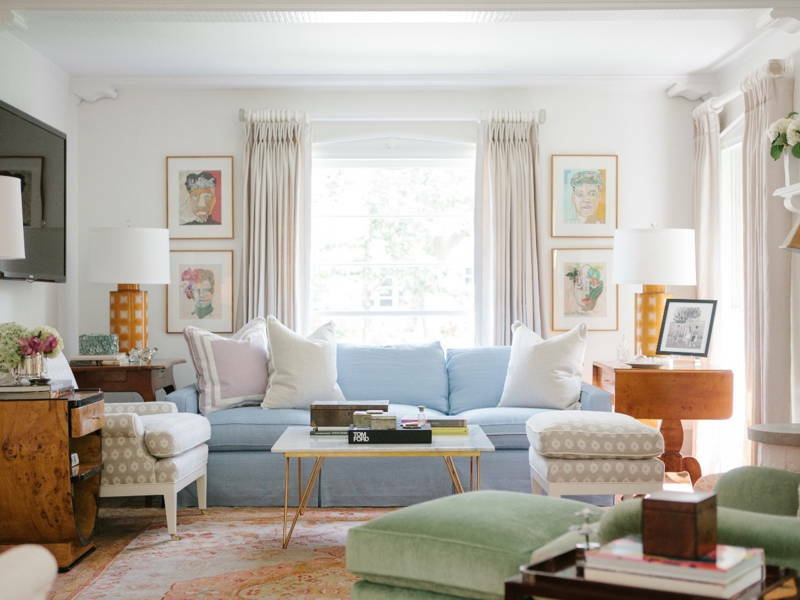 Many of us are guilty of having too much furniture (we’re talking to you, shopaholics) but removing certain pieces you might give the room a fresh look and feel. Your space doesn’t have to be perfectly balanced by having the identical furniture pieces mirror each other. But all spaces do need some form of symmetry and balance. Just chucking and tossing furniture where they fit and calling it a day isn’t going to make your room feel welcoming or neat. You can use colour or décor as a balancing element instead of your furniture. Having a colour scheme in a room helps with its symmetry so does having matching tables lamps or photo frames on either side of your room. This will create a seamless and balanced room. If you find that rearranging your furniture and layout isn’t enough to make your home feel new again. Try out these equally cost-effective tips! You probably have a box of seasonal décor laying around. These seasonal décor items will give your home a subtle but festive change. If you’re not sure where to start, check out our guide to seasonal decor. 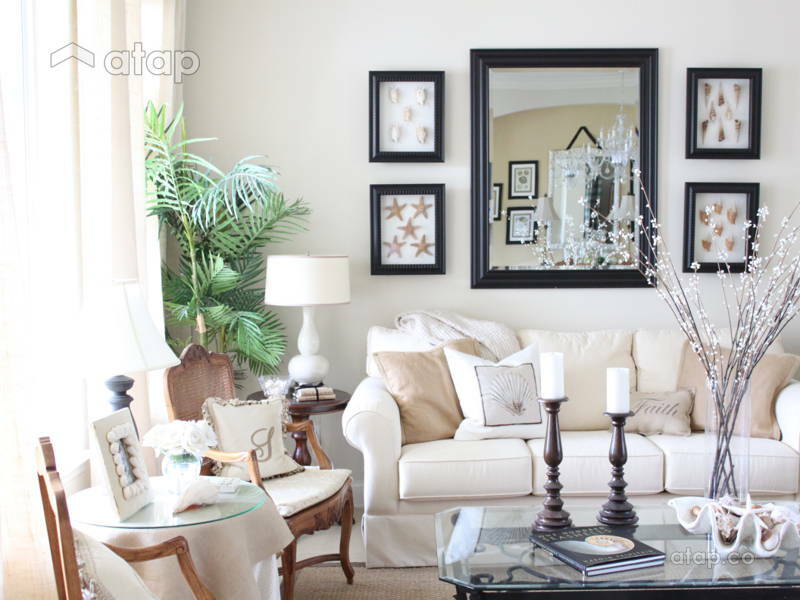 Just like your furniture pieces, it’s a good idea to change around your decorative pieces. You don’t necessarily need to buy new home décor, just rearrange the ones you already have for a makeover. An easy way to freshen up a room is to add some greenery (or any other colour). Introducing fresh flowers and live plants to a room can instantly change vibe of a space. It makes your home livelier and more vibrant. If you don’t have green fingers, this guide will show you which tenacious plants will suit you. Feel like your home needs a makeover? Get a free quotation from Malaysian interior designers. You can also check out other local interior design portfolios.